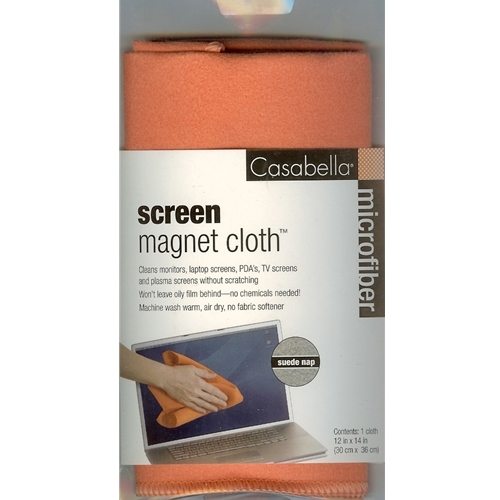 This extra fine, flat nap microfiber cloth is perfect for cleaning monitors, laptops, TV screens and PDA’s. It picks up dirt, dust and fingerprints without scratching and won’t leave any lint behind. Machine washable, do not use fabric softener, hang to dry. High quality microfiber. 11.75” x 15”.